I took this photo of Dad as we watched our favorite cable news show, The Rachel Maddow Show. Here’s an article cut-out from the Times-News (Hendersonville) that my Mom sent me in the mail. 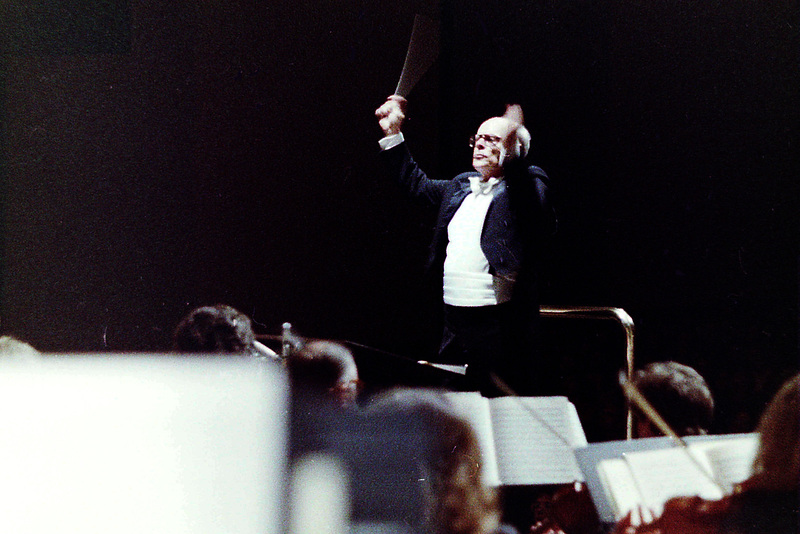 (May 28, 1989) The photo of my Dad conducting is a little freaky in terms of his hair and eye wear, but it’s a good article. Sorry about the quality and presentation of the PDF but I think it’s worthy because of the way he’s quoted in the article. 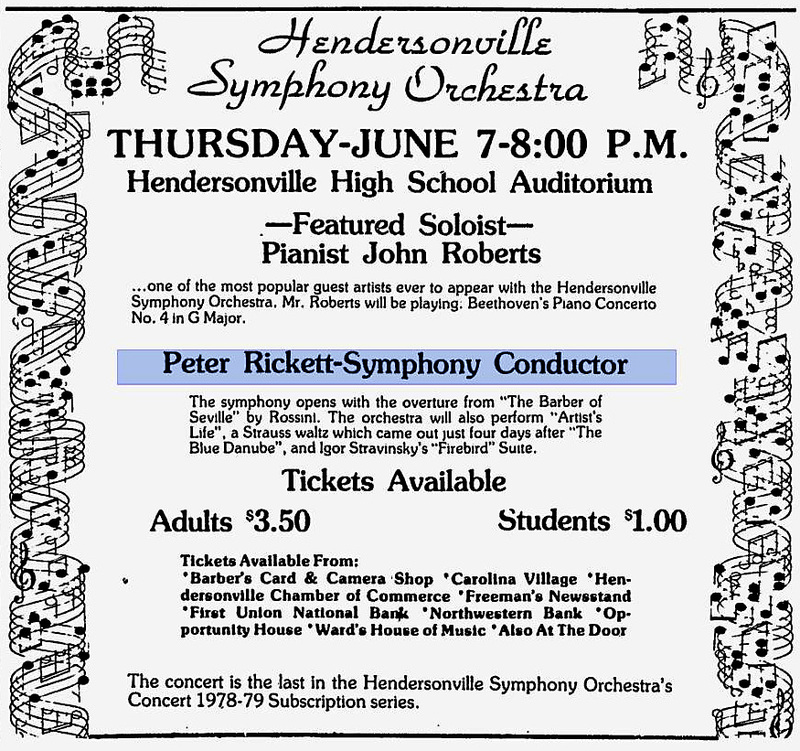 I ran across this ad for the Hendersonville Symphony in The Times News for June 4th, 1979. I thought it worth including here for historical value. By the way, it would seem that ticket prices for this group have gone up 10 fold to $35.00 over the past 35 years. 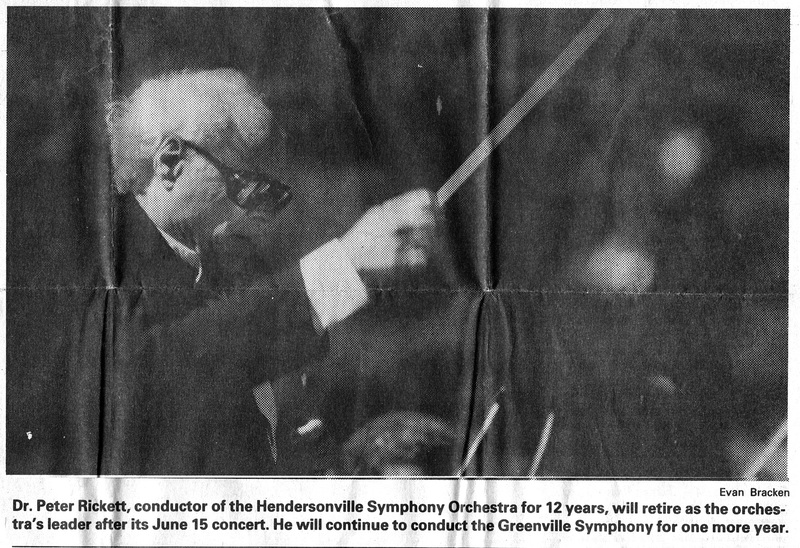 Below are photos I took in 1986 when my father conducted the Greenville Symphony in Beethoven’s Ninth Symphony. If memory serves, I’m pretty sure this was a dress rehearsal the afternoon before the performance. 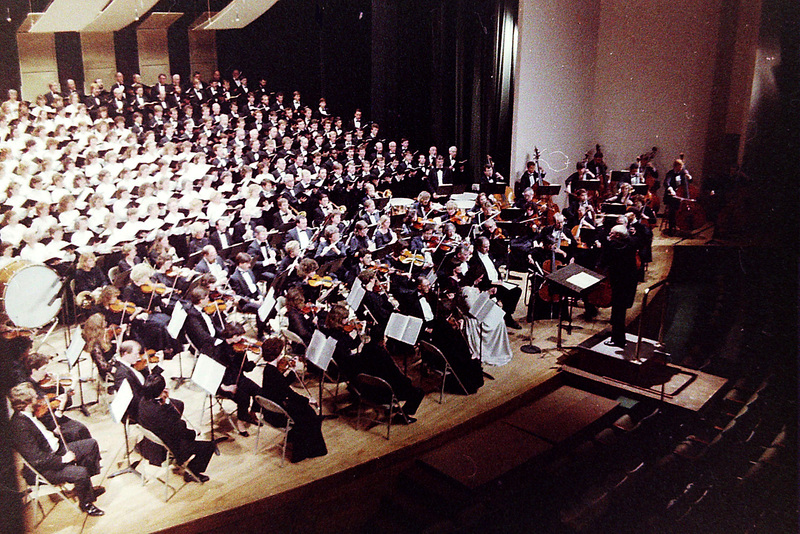 This is when the GSO’s home venue was McAlister Auditorium on the Furman University Campus. 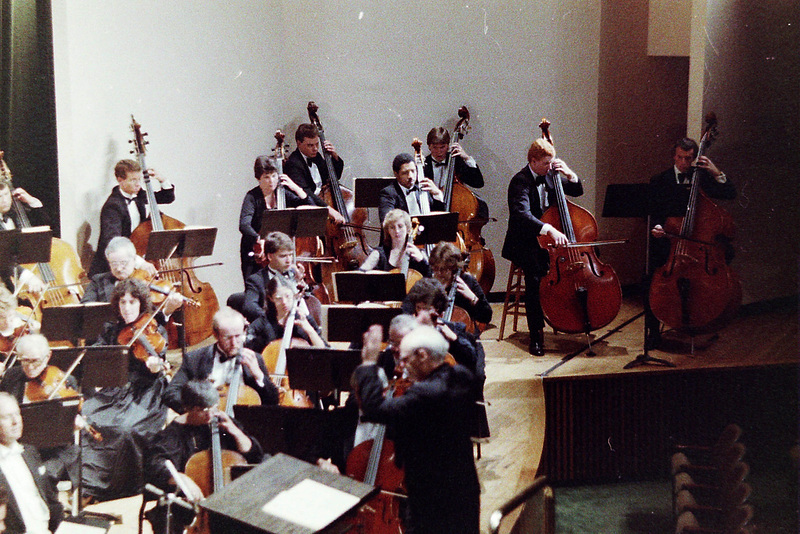 Sorry I can’t identify the guest soloists, but I do recognize our longtime family friend, Richard Magg, sitting first cello. Naturally, I took a separate shot of the bass section. 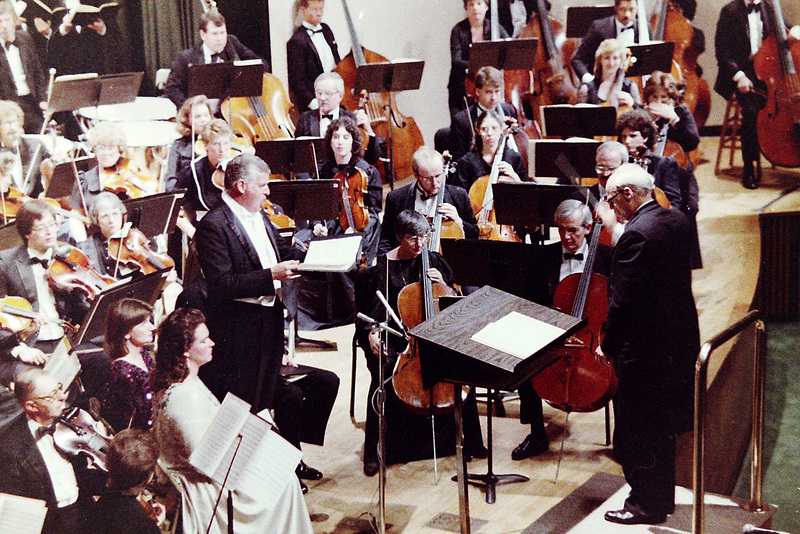 That’s my late brother, Steve Rickett, in the back row guesting from Savannah, GA for this performance. Also, I think that’s Tim Easter (2nd bassist from the right), the current principal bass player for the GSO. 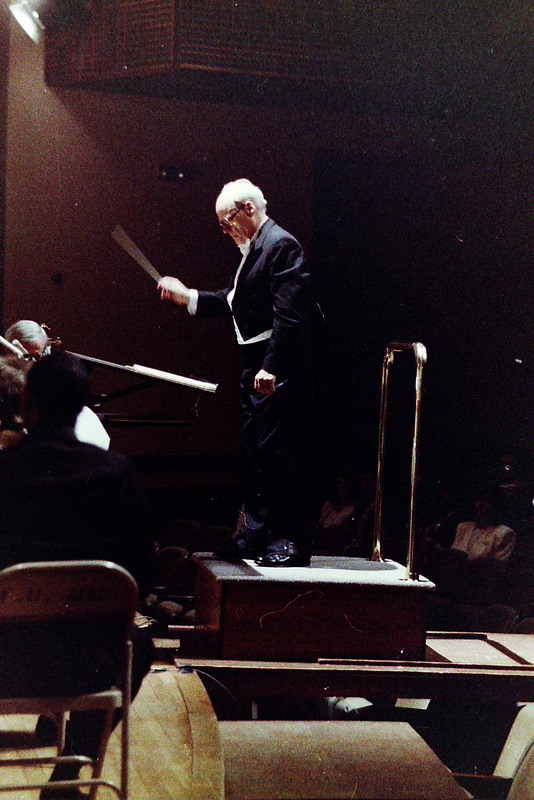 Since I almost never sat in the audience, this is the view I remember my father best as he led the orchestra. 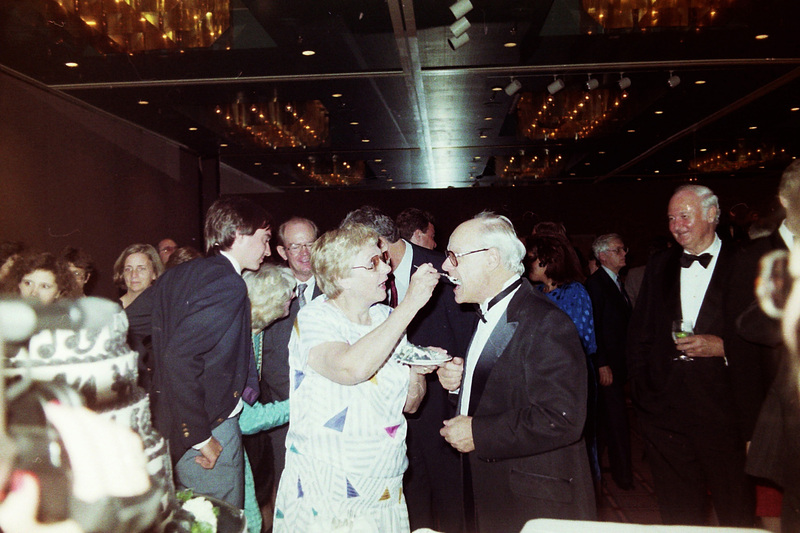 Photo notes: The picture quality is not what I would hope for but it was the technology available to me at the time which was a Pentax 35 mm SLR (handed down from my father) with 5294 Kodak motion picture film processed by RGB Photo Lab in Hollywood, CA. 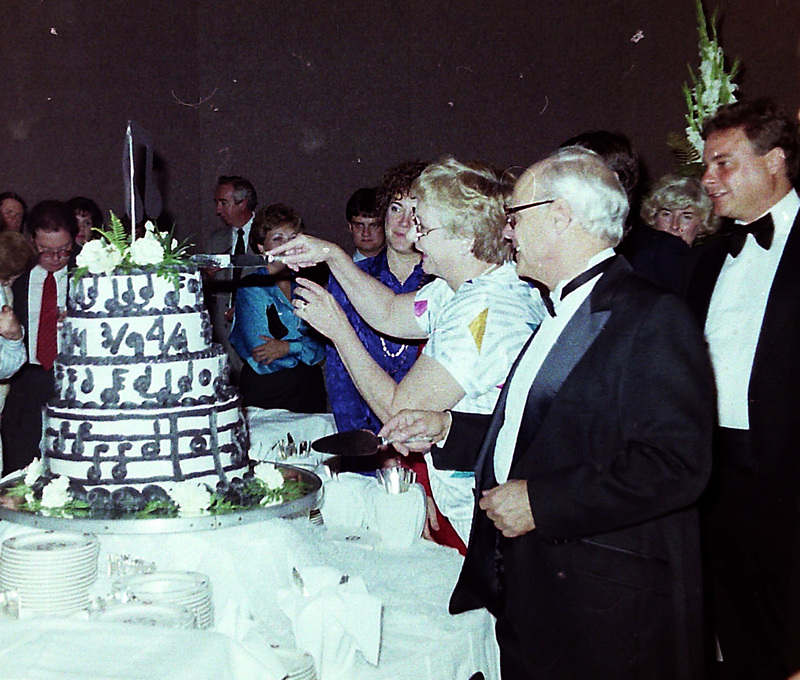 I was able to dig out the negatives recently and scanned them with an inexpensive 5.1 megapixel scanner I bought on Amazon.com. Sorry about the hairs, I don’t have a suitable place to handle the negatives.